It is the school re-opening season and Tata motors is conducting the school bus expo in Bangalore. Tata Motors is going to showcase its entire range of school transport solutions at the St. Joseph’s Indian High School Ground. The event will be held at Bangalore and is scheduled on Saturday, 13th June 2015 from 11 AM to 5 PM. 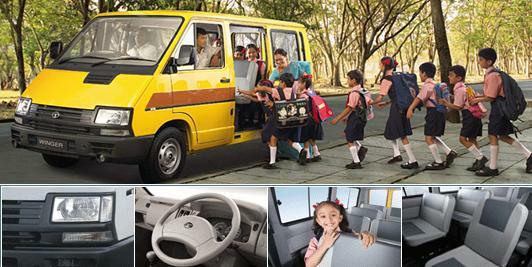 Products which are ranging from 3-seater to 68-seater school children transport vehicles would be showcased at the venue. In the event there will be a demonstration of Tata’s very own telematics based tracking solution, Tata Skoolman. Tata Skoolman addresses some of the pressing concerns over student safety during school bus travel. The Tata Skoolman shall not only enable additional safety for school children, but also provides a convenience for parents and more efficient fleet management for schools and bus operators. In one of their initiatives regarding safety of school buses, Tata Motors has trained more than 15,000 school bus staff from 41 different cities across India accounting 295 schools through 302 sessions. The program aims to help in creating a sense of involvement among participants, increasing awareness about their duties and responsibilities, maintaining personal hygiene, general etiquette and behavior, and also taking necessary measures in case of accidents. 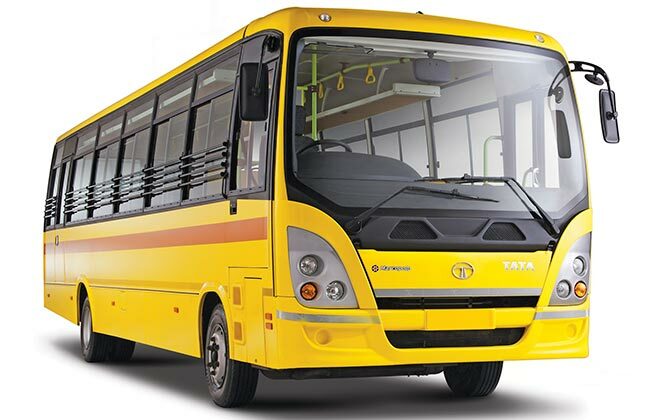 In addition to this, Tata Motors SKOOL buses are fitted with comfortable seating, chin guard, stop sign on passenger door, 2-point lap seat belts, one row roof grab rail handles, fire extinguishers, rear high mount stop lamp, rear breakable windshield with hammer.